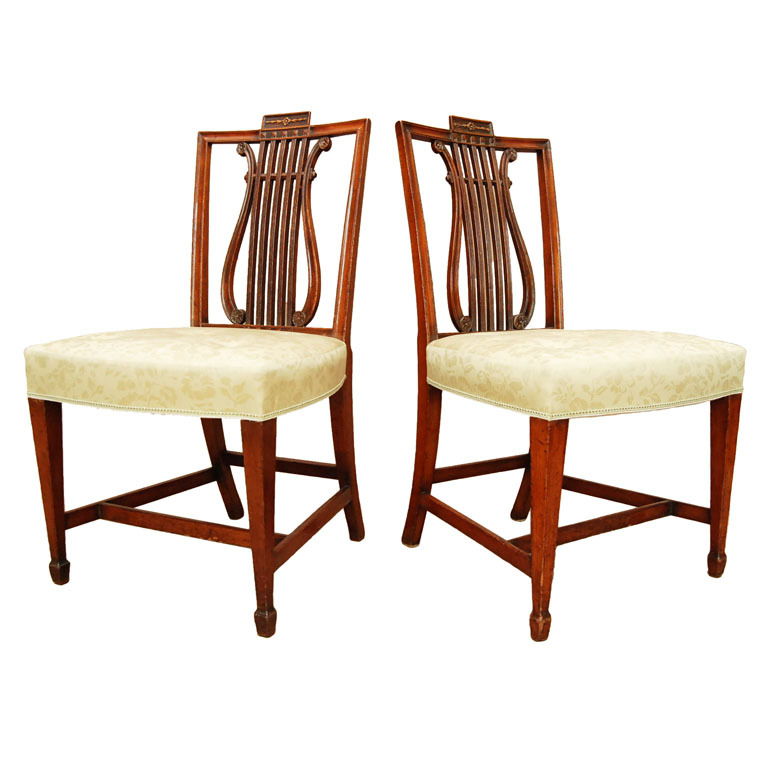 A great decorative pair of late 18th century George III side chairs. 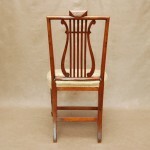 The design of the backs is based on the ancient Greek stringed musical instrument that is undoubtedly the root of the fully developed modern concert pedal harp. The earliest depiction of a lyre is thought to be from Sumeria around 2800 BC. 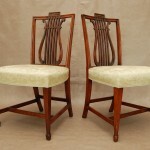 Overall Very Good Condition With Normal Signs Of Age For 220 Year Old Chairs That Have Been Well Cared For. 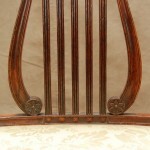 There Is One Very Old Replaced Lyre Element Which Is Not Noticeable. 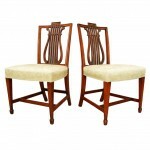 They Have A Pleasing Older Finish And Color. 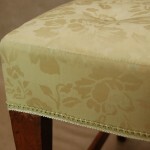 The Upholstery Is In Good Condition Too Except It Is Missing One Tufted Button. 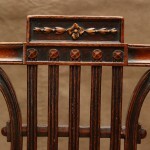 The Seat Rails Have Had Some Partial Replacements Where Numerous Seat Coverings Being Tacked Into Place Would Have Taken It's Toll On The Strength Of The Wood.. 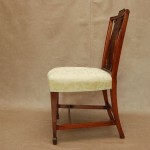 Overall very good condition with normal signs of age for 220 year old chairs that have been well cared for. 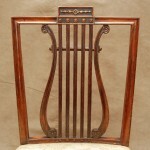 There is one very old replaced lyre element which is not noticeable. 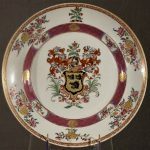 They have a pleasing older finish and color. 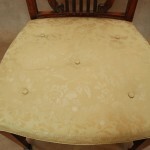 The upholstery is in good condition too except it is missing one tufted button. 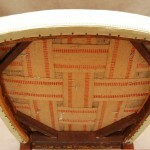 The seat rails have had some partial replacements where numerous seat coverings being tacked into place would have taken it's toll on the strength of the wood.